Oh man. You know that Skyrim x Star Wars fantasy helmet from yesterday? The one for a charity drive? Take a look at this one, from the same showcase. It's the same premise: take Boba Fett's helmet and do something else with it. Only this one's gone a little more left-field and has blended the bounty hunter's trademark with the headpiece at the centre of one of the best scenes from one of the best films Arnold Schwarzenegger ever starred in. 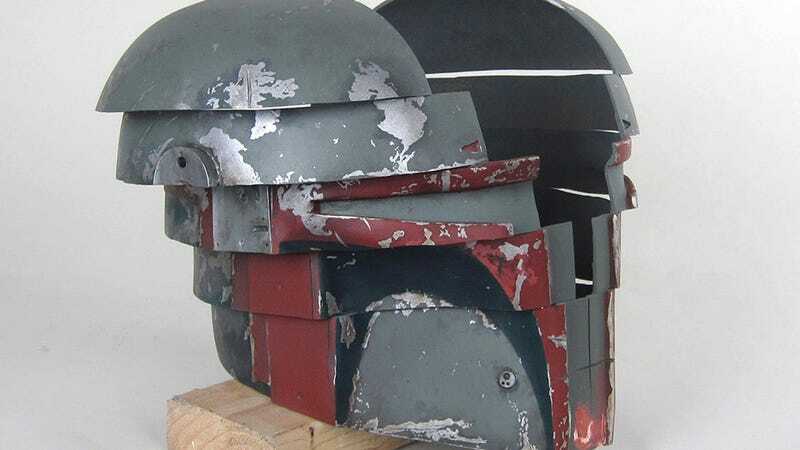 The helmet - called Boba Recall - was designed by professional props builder and restoration expert Tom Spina, and what really blows my socks off is the fact he made an Arnie face to go under it.